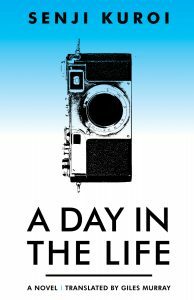 A Day in the Life features twelve portraits of the vivid and curious realities experienced by a man in his sixties. These stories focus on the tiny paradoxes we each witness and of which we often taken no note. Ranging from a visit to an exhibit of blurry photographs, each taken with an exposure time of exactly one second, to the story of a man stalked through the streets by a stranger for no greater crime than making eye contact. A Day in the Life demonstrates why Senji Kuroi is considered one of the leading figures of contemporary Japanese literature.